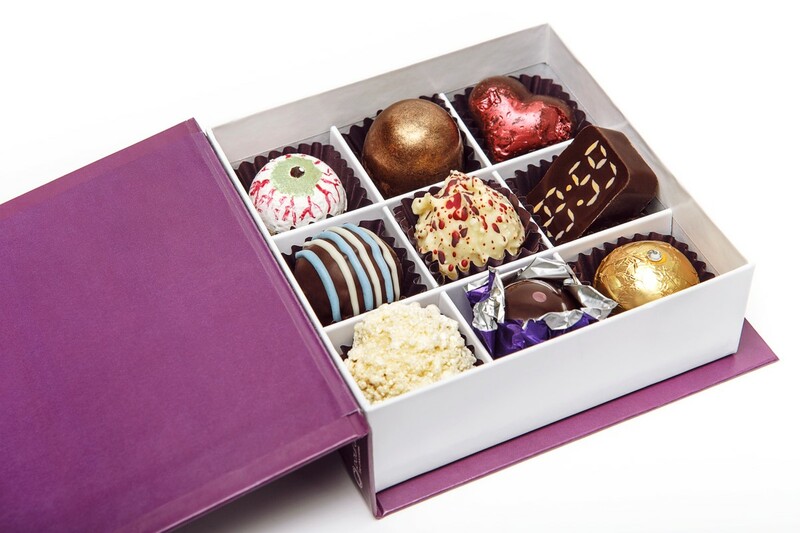 'The Ultimate Chocolate Box Set' | Paul A Young Fine Chocolates. Sky Box Sets has teamed up with our very own Master Chocolatier to create a limited edition range of chocolates, inspired by the service’s addictively good box sets. Available to buy in all our stores now, ‘The Ultimate Chocolate Box Set’ features nine unique handcrafted chocolates. With each bite, the sweet treats promise to delight and tantalise viewers’ taste buds through a range of flavours and designs that match the themes of popular box sets. From a bourbon and smoky paprika filled Mad Men chocolate, to a stamina inducing coffee bean and thyme infused creation for 24, the chocolate box set creates an immersive tasting and viewing experience with something for everyone to enjoy. One of the chocolates in each box represents Sky Box Sets and the addictively good shows available on the service. ‘The Ultimate Chocolate Box Set’ is on sale for £15.50. All proceeds will be donated to the Royal National Institute of Blind People (RNIB). ‘The Ultimate Chocolate Box Set’ is available whilst stocks last.